One of the most enduring myths in the history of medicine is the legend of the French surgeon Ambroise Paré as the “liberator” of surgery from the dangerous practice of cauterizing gunshot wounds with a red-hot iron. Paré himself was the originator of the legend, having published an account of it in his book, Method of Treating Wounds Made by Arquebuses and Other Firearms (1545). On a military campaign in Italy in 1537, he relates, he was forced to innovate. Initially, as he was taught, he used boiling oil to cauterize what were considered to be poisonous gunpowder wounds. But my oil ran out and I had to apply a healing salve made of egg-white, rose-oil and turpentine. The next day I slept badly, plagued by the thought that I would find the men dead whose wounds I had failed to burn, so I got up early to visit them. To my great surprise, those treated with salve felt little pain, showed no inflammation or swelling, and had passed the night rather calmly – while the ones on which seething oil had been used lay in high fever with aches, swelling and inflammation around the wound. At this, I resolved never again cruelly to burn poor people who had suffered gunshot wounds. Paré’s representation of the event was a brilliant performance—one that catapulted him to the court of King Henri II. The story of his fortuitous discovery has become a dogma in the history of medicine. Yet how common was the practice of cauterizing gunshot wounds in the sixteenth century? In other words, was “Paré’s doctrine” really Paré’s? Paré’s modern biographer, Joseph Francois Malgaigne, identified numerous contemporary Italian and German surgeons who used methods similar to the one that Paré advanced—evidence, supposedly, of the “wide diffusion of [Paré’s] ideas.” Yet none of the others ever cited Paré in connection with the method, or gave him credit for its discovery—a neglect for which Malgaigne soundly rebuked them. 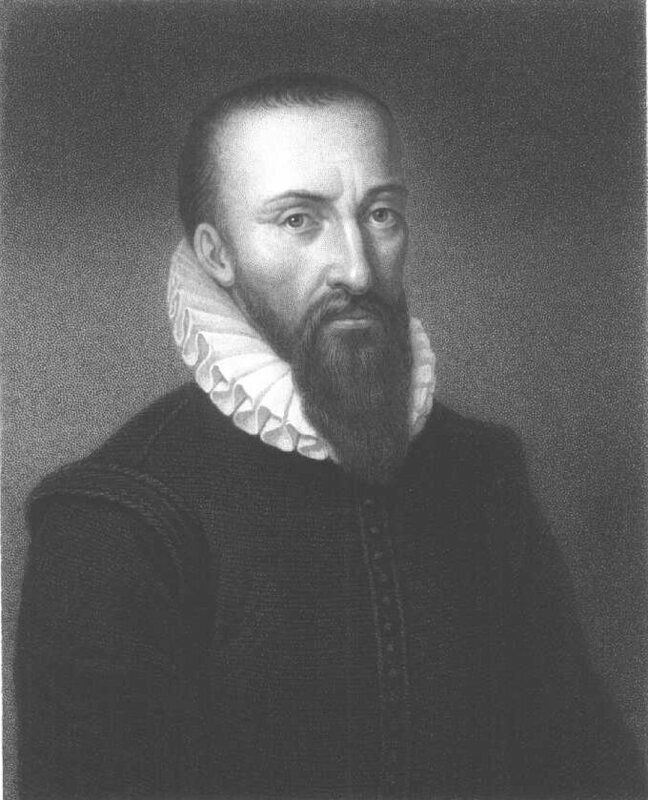 Apparently it never occurred to Malgaigne that instead of being evidence for the diffusion of Paré’s ideas, the widespread use of the technique associated with the French surgeon’s name in fact bears witness to the perpetuation of a traditional medieval method. It is worth comparing Paré’s account with the practice of a contemporary, the Italian military surgeon Leonardo Fioravanti, who also claimed to have a “new way” of treating wounds. Fioravanti didn’t cauterize gunshot wounds, even though, like other surgeons, he believed that they were poisonous. Yet he almost certainly never read Paré’s book, nor would he have learned about Paré’s “discovery” by word of mouth from other surgeons. His wound treatment was essentially the standard medieval method—one described in detail by such 14th- and 15th-century surgeons as Henri de Mondeville, Guy de Chuliac, and Heinrich von Pfolspeundt. The procedure that Paré refutes in his account of his “discovery” was in reality an innovation introduced by the Italian surgeon Giovanni de Vigo, who revived an Arabic practice in his surgical manual, Practice of the Art of Surgery (1514). De Vigo’s manual was widely used as a textbook in universities and hospitals. Paré knew it well: Trained in the Hôtel Dieu, where university professors regularly lectured, he had a copy of the Practice with him during the campaign. But since most surgeons did not have formal school training—having learned the art instead through an apprenticeship with a master surgeon—the traditional medieval method was handed down orally through the generations. Most surgeons wouldn’tt have known about De Vigo’s innovation. Foravanti’s practice—to clean the wound, suture it, and apply a healing balm—was essentially the standard medieval method. Why then did he claim he had discovered a “new way” to treat wounds? His innovation was the invention of new healing balms, which he called the Mighty Elixir, Blessed Oil, and Artificial Balsam—herbal concoctions made by distillation and containing high concentrations of alcohol, which would have given them antiseptic properties. Fioravanti’s use of an ointment to treat wounds was tied not only to medieval surgical practice but also to a folkloric tradition whose origins are, in part, biblical. The Balm of Gilead mentioned in the Book of Jeremiah was the most famous of all unguents, and became a well-used metaphor of healing. Magical waters and wound-healing balms are common motifs in medieval folklore, and the ancient dream of a magical balm that healed wounds instantly without leaving a scar was alive and well during the Renaissance. Cervantes turned it into a joke with Don Quijote’s “Fierabrás’s balm,” two drops of which will heal a knight cut in half. The ancient idea of the magical wound-healing balm—tied to the conviction that wounds caused by a new kind of weaponry required a new kind of balm—gave rise to an alchemical quest that Fioravanti eagerly joined. Leonardo did, after all, have a new way of healing wounds. It was composed of four ingredients: a medieval surgical procedure, the science of alchemy, the folklore of wound-healing balms, and skills learned in the heat of battle. And it was little different from the method that academically trained Paré claimed to have invented. Yet Leonardo Fioravanti, unlike Ambroise Paré, went down in the history of modern medicine as an arch-charlatan, not a hero. So why does the legend of Ambroise Paré persist in the history of medicine? Why do we seem to need the style of history that elevates heroes such as Paré? Perhaps it is because the medical profession has a driving need to confirm that, in spite of the uncertainty surrounding its everyday practice, modern medicine is, after all, a rational, scientific, and progressive discipline. During the 19th century, and for much of the 20th as well, the history of medicine—written mainly by physicians—was deployed as an instrument in the ongoing professionalization of the field. The elaborately constructed “war against charlatanism” was an integral part of the medical profession’s strategy to preserve the domain of medicine for specialists. That kind of history needs heroes and villains: heroes to confirm the truth of modern medicine and the inevitability of its triumph, villains to underscore the magnitude of the victory. To learn more about Leonardo Fioravanti and Renaissance medicine, readers can refer to William Eamon, The Professor of Secrets: Mystery, Medicine and Alchemy in Renaissance Italy (National Geographic Books, 2010). You have to wonder why the use of any of thes balms and unguents came into use in the first place. Statistically, most of them probably made things worse rather than better, compared to just cleaning and suturing it (although alcohol would have been an anti-bacterial agent). But faced with a colleague in pain and obviously in need of help, and our human need to offer aid in such circumstances, the opportunity to demonstrate one’s own special abilities may have outweighed those negatives.